Brighton Psychology Service is run by Dr Helen Startup an experienced clinical psychologist who has worked for many years in a range of NHS outpatient and inpatient settings. She can offer short and medium term one-to-one therapies (Cognitive Behavioural Therapy and Schema Therapy); clinical supervision (CBT and schema therapy); and advice and consultation on all aspects of clinically relevant research. Helen is passionate about working with individuals to promote psychological wellbeing and to foster resilience towards future psychological stress. As a clinical psychologist she is guided by the scientist-practitioner model, which means she draws on best available published evidence to guide her therapeutic work, whilst remaining flexible, creative and nurturing in regard to an individuals personal experiences, strengths and goals. She is also a great believer in the value of good quality clinical supervision as a means to provide the best care possible for clients. She is an experienced clinical supervisor and is able to provide supervision to individuals and groups. 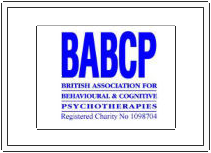 Helen is an accredited CBT therapist and teacher/trainer of schema therapy. She is also a keen researcher and is able to support individuals or groups to think creatively about the set up and management of research ventures. Please get in touch if you would like to explore any of the options further.